You’ve heard the phrase ‘less is more’, right? It is the notion that simplicity and clarity lead to good design, and having a good design in your home is always grand, but having space and tranquility in it is surely even better? Minimalism is a lifestyle that induces those who practice it to question what (and maybe even who) add value to their lives. By clearing the clutter from their lives, minimalists make room for far more important aspects of life: health, relationships, growth and passion. Does that sound good? 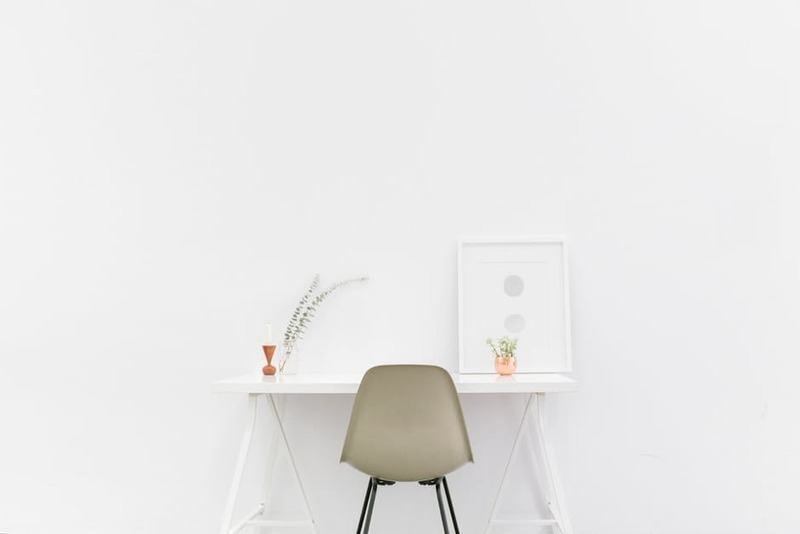 Well maybe it’s time to give your home a minimalist makeover, and there are many benefits of doing so, including: a home that is easier to clean, less of a focus on material possessions and more on life itself, a healthier bank balance and less stress. A perfect home for a minimalist is having only 100 possessions inside of it; but, back in the real world, minimalist living is easier said than done. If left unchecked, everyday clutter can quickly take up space and take over your work surfaces. So if you’re struggling to de-clutter. here are a few tips to help you get organised and give your home a minimalist makeover. Firstly, start with the hub of the home: the living room. Has your living area been inundated of late with cables and wires from the various phones, laptops, tablets and broadband hubs that you and your family use every day? If you’re sick of the messy mountain of wires and cables that somehow get tangled up every time you take your eyes off of them, try taming them by simply attaching a wire basket under your worktops or desks. And no, this isn’t just a ‘out of sight, out of mind’ kind of tip: it’s a neat way to keep adaptors and sockets off the floor (saving your feet from potential disaster) and keep your rooms cable free. It’s time to tie up those loose ends! Now, on the kitchen: the room that is probably in the most need of smart storage with all the pots, pans, crocks, cutler and that all important food that call the room their home. A way of recycling, saving money and being minimalist is to use old jars as storage containers — a triple threat of positives, does it get much better? Also, try draping an old over door hanging shoe organiser behind a cupboard door and put all those cleaning products that have been hogging up space in your sink in it. But this is not to say the life of a minimalist is for everyone. So whether you’d prefer to focus on the clutter free minimalist approach (get started by reading my Introduction to the KonMari Method), or if you’re more partial to stylish Million Dollar Makeovers, there’s a makeover out there somewhere with your home’s name on it. But if minimalism has had an impact on your home, why not let it follow you outside?